Many people are familiar with Traditional and Roth IRAs, yet few know the details behind a Self-Directed IRA. This type of retirement account has been getting the attention of investors who need more options and flexibility when it comes to the type of assets they hold in their retirement accounts. Here are a few quick reasons why you may want to consider going “Self-Directed”. 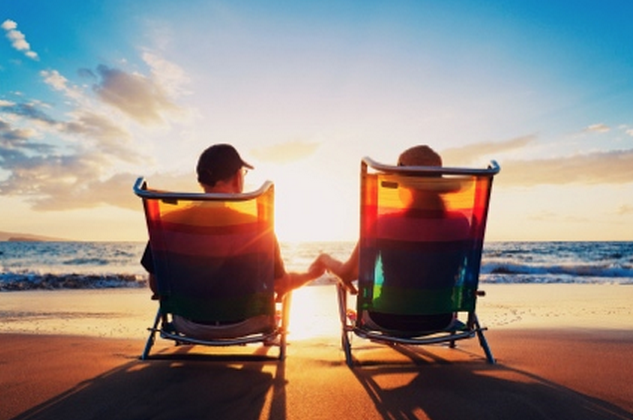 Self-Directed IRAs allow you to choose what type of assets you hold in your retirement account. Individuals can hold a variety of investments such as stocks, bonds, mutual funds, real estate and, of course, precious metals inside their IRA. Because you are in control of the type of assets that go into a Self-Directed IRA, you have the freedom to include other assets beyond stocks. While your options are greater with a Self-Directed IRA, there are few items that cannot be added: investments in life insurance, property for personal use, and certain collectibles such as stamps, artwork, rugs, and antiques. Having a Self-Directed IRA allows you to have more control over your retirement by being able to diversify your assets beyond normal stocks, bonds, and annuities. For example, many traditional 401(K) plans only offer a few investment choices. While these are presented as simplistic choices focused around strategies such as aggressive or growth investing, the individual has little ability to change something if a fund comes with high fees or bad management. A Self-Directed IRA gives individuals full control over where their money is invested. When the time comes for a withdrawal from your retirement account, individuals often believe the process should function like an ATM. You request your money, and it’s given to you. However, did you know that some custodians can take up to 30 days before they distribute your funds? Self-Directed IRAs have fewer restrictions which make it easier to make a withdrawal. In fact, most withdrawals are made within 1-2 business days. Investors who are weary about the economy usually turn to a tangible asset such as Gold bullion. The yellow metal has been viewed as a hedge against inflation and can now be added to Self-Directed IRAs. In order to add Gold to your Self-Directed IRA, the fineness must be at least .9950% and the metals must come from a NYMEX or COMEX approved refiner. If you prefer gold coins in your Self-Directed IRA then you will find many government-manufactured coins are acceptable, such as the American Eagle 1oz Gold Coin and the American Eagle 10z Proof Gold Coin. American Bullion specializes in adding precious metals to Self-Directed IRAs. If you’re looking to open a precious metals Self-Directed IRA or just wondering about your options, contact American Bullion today at (800) 326-9598 and our team of Gold IRA specialists can help answer any questions or send you our complimentary gold guide explaining your options for investing in Gold.